Backed by a team of adroit and diligent professionals, we are actively committed towards manufacturing, exporting and supplying optimum quality HDPE & PE Pipe Plant. In order to assemble this plant, our professionals utilize contemporary technology and the best grade components. In addition to this, our provided pipe plant is designed to ensure high productivity with optimum results. Our quality controllers examine this plant against various quality parameters to ensure its flawlessness. 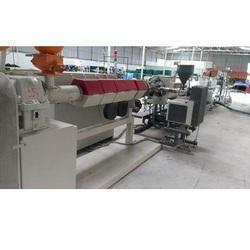 This Production Line is Mainly used for Producing Water supply pipe and drainage in the field of construction cable etc. 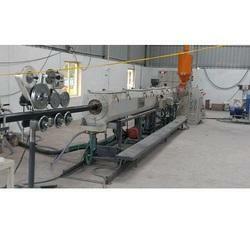 To retain our goodwill in clients' consideration, we manufacture, export and supply optimum quality HDPE & PE Pipe Plant. Our offered plant is precisely assembled at our well-equipped manufacturing unit employing high end technology and modern equipments. Moreover, our provided pipe plant is capable of producing an extensive range of polyethylene pipes that is used in various industries for a variety of innumerable applications. We deliver this plant from our end after conducting a proper test against it and offer it at industry leading prices. Lining Marking of PE/HDPE plant. Agriculture and Irrigation chemical industries etc.